Are you tired of looking at your messy room? We don’t blame you. You probably don’t have enough time to fix the mess. But do you have any idea what a messy room does to you and your overall health? No, right? A messy bedroom or a house can have a lasting impact on your physical and mental health. Untidy, unhygienic rooms cause stress and anxiety in individuals. Its effect on people are the same as the effects of pollution. You may think that other factors, such as work, social life, love life etc are causing you stress, but in reality, it is your dirty room. Let us show you how you can dramatically change your life for the better JUST by cleaning your room. Your room is your private area. After a long day of work, all you want to do is unwind and relax in your precious space. But when your room is unorganized, stinky and an eyesore to look at, you won’t feel so good. It is so important to have fewer things in your room. The less you have, the more space you get. When the room is spacious, it looks spacious and clean. If you have been neglecting your cleaning chores for a while, it is time to get your hands dirty. Throw out everything unnecessary. That means anything that you no longer use and it includes things from 10 years ago. Clean the trash now and do it regularly. Once you have gotten rid of all the junk and useless items in your room, you will finally have some space to walk around! Can you say honestly that you felt peaceful in your dirty room? We don’t think so. After decluttering the room, cleaning and organizing everything, you will notice how different your room looks and feels from before. A tidy room is a great place to cultivate good thoughts and make constructive plans. Now, when you return from work to your tidy room, you will immediately find peace laying on your bed. Instead of cringing with disgust, you will find admiration for everything you have around you. Dressing up, sleeping, studying and working in your room will feel less like a chore, and more like an enjoyable activity. In a clean room, you will find it easy to breathe and relax from daily stresses as well. Besides, when you have peace in your mind, you can sleep better at night. According to America’s National Sleep Foundation, fresh air, clean sheets, and allergen-free atmosphere induces good nights of sleep. So here we go. A dirty and dusty room is a place for termites, insects, and germs to accumulate. People with allergies will suffer a lot, whereas people with no allergies may start facing symptoms of allergies. For a room to be tidy, you must vacuum the carpet, dust the furniture and windows, wash the curtains and let plenty of sunlight and fresh air in. If you have pets, don’t be surprised if you find pet poo under your pile of junk rotting away for over a decade. Use good carpet cleaners to clean the old mess and to keep it clean from now on. A messy room can also be the headquarters of rats, spiders, and cockroaches. Your negligence and laziness have put you in this situation. So, don’t waste any more time. Use pest control to get rid of pests and animals. Hopefully, you will never delay cleaning your room again. Having a messy room takes away a lot of time from your precious day while you search for things under the junk you built. Meanwhile, the pile of junk can also distract you from concentrating on important things. Not to forget, unhygienic atmosphere invites bugs and termites. Clean your room every week or so to keep it fresh and manageable. Our busy life doesn’t allow us to get dressed slowly, eat slowly or do anything slowly. So, if you are looking for something important related to school or work last minute, and you can’t find it because of your untidy room, you’re going to be in big trouble. You will be able to find whatever you want quickly with no fuss if you keep your room organized. Store your things according to type and usage. You can even mark them as ‘stationary’, ‘textbooks’, ‘shoes’ etc so you can find them easily when you need them. Declutter all the useless items, make space, clean your dusty things and organize your items accordingly to keep your room tidy. 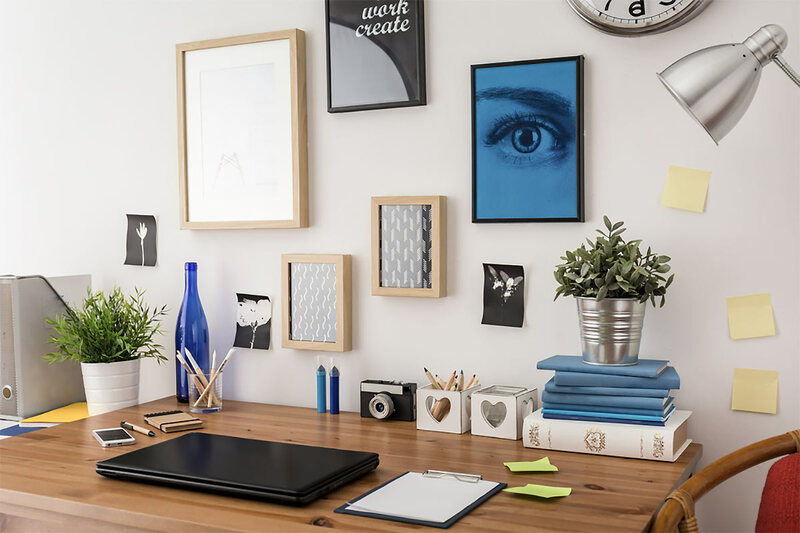 A tidy room is a productive space to work in. You will be able to concentrate and understand your studies better in a clean room. You can also find what you need quickly, and without wasting energy. If you have been wanting a promotion at work, the neat and orderly room will give you that space and quiet to do your research. If you are stuck with something work or school related, the tidy room will give you the opportunity for introspection and planning. Before, when your room was dirty, you would often ask your friends to sit in the living room or embarrassed to invite them in. But now that you have finally cleaned up the mess that was there in your room, you feel more confident in inviting them in. Whether it is for a school project, work assignment or just a slumber party, your associates need to use your room. Also, an untidy room will give them a bad impression of your personality. Therefore, in order to maintain your social image as well, you must keep your room neat and tidy. Additionally, if you develop some basic easy cleaning habits, you will also be able to keep your prestige when people visit your room uninvited. Not taking care of yourself or your room is not an excuse. You are here to live a better, healthy life. The only way to be healthy and happy is by taking care of yourself and your surrounding. A dirty room is a germy room. In order to stay away from diseases and live a healthier life, you must keep your rooms clean. No matter how busy you become, never neglect this important chore. As you start living in a clean space, you will see that it is bringing more benefits into your life than you imagined. A clean environment will give you enough air to breathe, enough space to loiter, enough time to plan your life and enough comfort to give you plenty of rest. Therefore, every time you feel like cleaning is arduous, remember that the benefits of cleaning are way higher than its drawbacks.